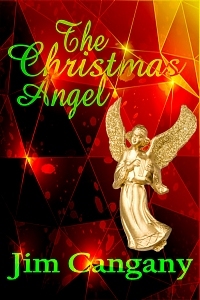 For a sweet taste of Christmas present and a look at love to yet to be, enjoy The Christmas Angel. Though it feels like a piece of a much longer story, this short was still satisfying. The main characters, while perhaps not fully fleshed out (how could they be in so few pages? ), were still distinctive, unique and quite three dimensional. We knew how much Kaitlin missed her mom, and how betrayed she felt by her ex. We saw how chilled Michael was in his inappropriate clothing at the parade and understood clearly he was really just a nice guy (unlike his friends, who came across as typical college guys out to hit on any girl who walked by — see, even the secondary characters were clearly written). The Christmas Angel is the story of a “cute meet” between two neat people who are just right for each other. It made me smile, even though I wished it had kept going. I wanted a HEA for Katilin and Michael, and have no doubt that was down the road for them. The author has a talent with his words, and I hope to read some longer stories from him soon. I was impressed with his ability to make me care what happened to Kaitlin and Michael in just a few words.